This article deals with plans of #Westinghouse Electric Sweden to #expand its #presence in #Ukraine by increasing the volume of supplies as well as construction of a #nuclear fuel plant on the territory of Ukraine. Upon agreement with the Ukrainian authorities, Westinghouse will increase its supply of nuclear fuel to Ukraine. 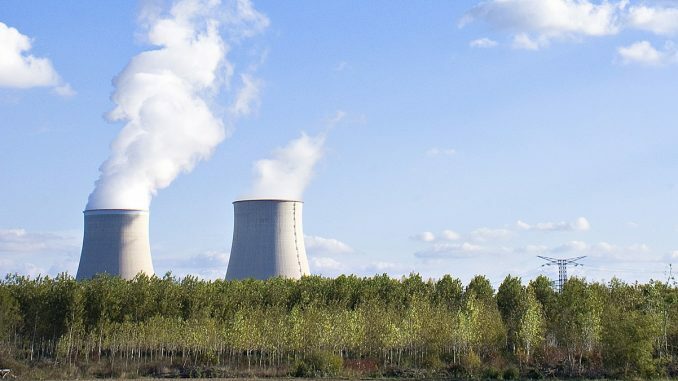 Furthermore, the company aims to construct a nuclear fuel plant on the territory of Ukraine, which will enable Ukraine to decrease its dependence on Russian supply of nuclear fuel. As stated by the Minister of Energy and Coal Industry of Ukraine at present Russia supplies almost 95% of nuclear fuel to Ukrainian nuclear power plants. Westinghouse is active in Ukraine for over a decade. In 2008 it signed the agreement with Ukrainian authorities on supply of nuclear fuel to Ukraine, the scope and validity of which was expanded in 2014. We note that Ukraine is heavily dependent on nuclear energy: it has 15 reactors generating about half of all electricity in the country. We also note that Ukraine aims to develop its renewable energy sector. As of 1 July 2016 the overall power capacity of Ukrainian alternative energy sector reached 1028 MW. In particular, the power generation capacity of solar power stations in Ukraine amounts to 453 MW, wind power stations – 426 MW, biomass plants – 31 MW and small hydro power stations – 118 MW. Earlier the State Agency for Energy Efficiency and Energy Saving of Ukraine announced that the investment potential of Ukrainian ‘green’ energy market is estimated at EUR 16 billion. According to the State Agency for Energy Efficiency and Energy Saving, Ukraine has all technical means and resources in order to transfer from traditional fuels to alternative sources of energy. The aim of the agency is to facilitate and increase the share proportion of alternative energy in the energy system of Ukraine to 11% by 2020.